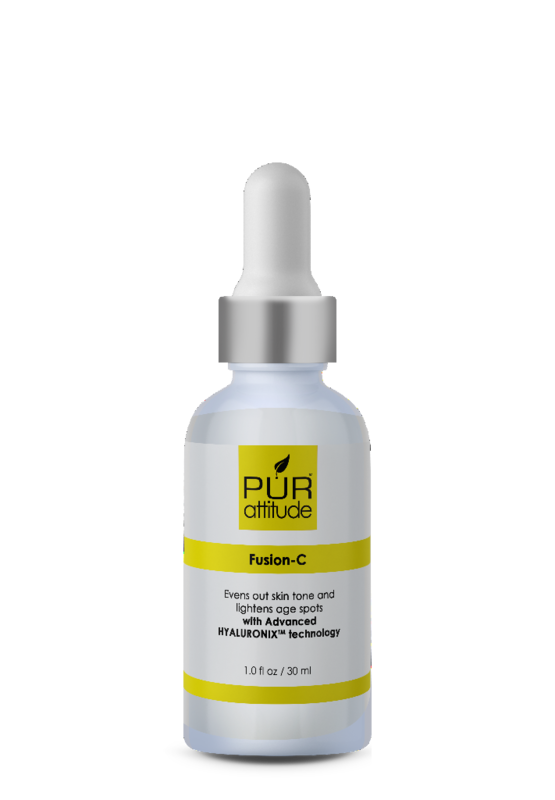 Like my mother always said, “Take your vitamins, darling.” With PUR attitude Fusion-C Brightening Serum, vitamin C is a key ingredient for your complexion. By combining patent-pending technology with essential vitamins, anti-oxidants and nutrients, the PUR attitude redefines innovation in skincare with 100 percent pure, soap-free skin care. Don’t you just love that? PUR attitude Fusion-C Brightening Serum is an essential step in any skin-care regimen. This serum was created to improve the skin’s firmness and youthful appearance using four different forms of Vitamin C: Ascorbic Acid, 3-O-Ethyl Ascorbic Acid, Tetrahexyldecyl Ascorbate, and Sodium Ascorbate. Fusion-C Brightening Serum also contains BV-OSC Ester, which is an active form of Vitamin C that improves collagen synthesis. This serum’s benefits include improving the look of fine lines and wrinkles, lightening age spots, and discoloration with the use of Licorice Extract, Vitamin E, and Hydrolized Collagen. Fusion-C Brightening Serum is enhanced with the power of natural Hyaluronix™ technology, which delivers up to one thousand times its weight in water, binding moisture deeply into the skin. Hyaluronix™ uses a complex of three different molecular weights of Hyaluronic Acid to create a delivery system that encapsulates and time-releases key ingredients deep within the lower layers of the skin. Isn’t that amazing?